“Fortune Smiles” is an experimental pop single that explores the intertwined and opposing forces of will and luck– confronting the question of whether they might both be leading you to the same place. Processed harp, shifting vocals, and orchestral textures interlock to construct a contrapuntal tornado evocative of Kate Bush, tUnE-yArDs, and Terry Riley. 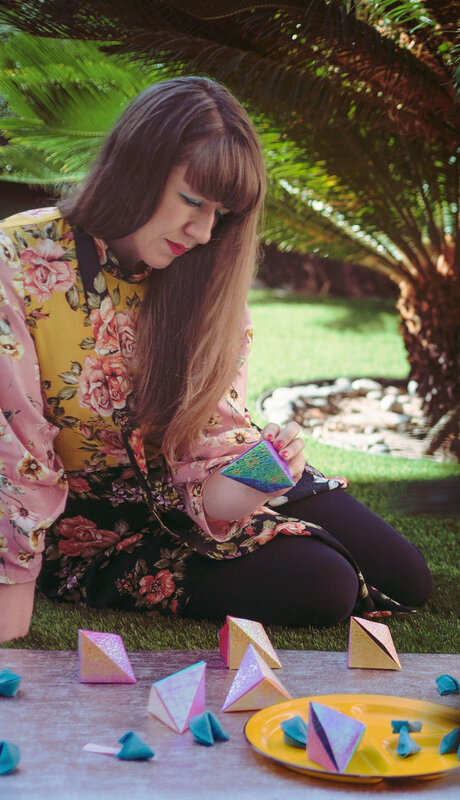 The physical release of "Fortune Smiles" is on a Fruit-Loop-flavored blue fortune cookie packaged in a gem-shaped origami box (handmade by yours truly). Cracking it open reveals a URL where you can discover the audio (here, actually). Package comes with one origami box containing a fortune cookie (one additional cookie included). These reflection boxes contain objects featured in the Lyric Cyclorama and there are very few available. Prices vary for these objects, email alphabetrain@gmail.com to inquire. The funds from this purchase will directly support the release of my upcoming album. 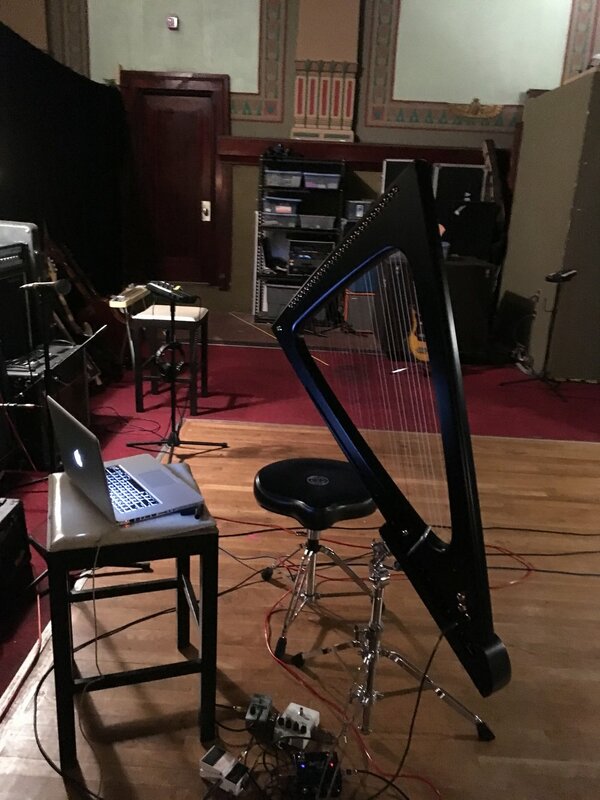 One of the reasons I decided to record a single was to explore my new Salvi Delta electric harp in the studio. An electric harp's direct signal means you miss some of the beautiful overtones and sympathetic vibrations of the acoustic harp, but you can create character through choosing a cool amp and some pedals, just like you would an electric guitar (the EHX Mel9, a Mellotron emulator was a favorite). After recording all of the other live instruments at 1867 Recording Studio (I listened to Annie Lennox's "Walking on Broken Glass" for string ideas), and playing around with the tracks a bit, it still needed that final sparkle. During the last editing session at Doom in Brooklyn, we wanted to enhance the arrangement while staying authentic to the sounds we already recorded. Coincidentally the room had one of the new Mellotrons. After killing an hour playing with its tango rhythm tracks and tiger sounds, we added the final touches to the song with that instrument. The song's many layers came alive in the mix, and what we learned definitely informed the direction of my upcoming album.